We live in a cynical age, though just how cynical is impossible for me to tell since I’ve only lived, at least consciously, in this age. I confess to being gullible through some genetic trait that accepts most things at face value. I can spot a fraud more by smell than sight, although I do have a third eye that hears incoherence. And if the senses here are transposed, you’ve got it right! Perhaps I am not unlike many people today who do not take the time to scratch the very thin surface of veneer that covers far too many public figures. Con men and con women abound from beneath every rock. Once their wheel-of-fortune is over with the performer who was abjectly willing and begging to perform for peanuts; and once that performer has met his or her abject and gruesome if not grisly fate, the promoters and producers move on to the next replaceable-interchangeable-and then disposable face, body, sound, and gimmick that will be fed to a public willing to believe that -- this time it’s for real. 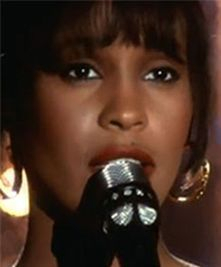 Whenever I watch and hear Whitney Houston perform her swan song, “I Will Always Love You,” there is absolutely no doubt in my heart, and therefore in my mind, that this beautiful, talented woman was singing that song to Someone. Whoever that person was is anybody’s guess and anyone’s theory. Only Whitney knew. In time, she forgot or at least a part of her forgot. And in time Whitney was forgotten, replaced by how many other young females so desperate to be heard that their voices really don’t matter: it’s the packaging and the payola that count. Whitney replaced someone before her; the next singer replaced her, and so on and so on. Does the performer know that she is dispensable? Does she perform with the soul-searing awareness that the ride will end once she no longer packs the crowds into the amphitheaters? Does she even care, just as long as she is in the spotlight? The essential passivity of many modern pop singers is somewhat shocking to me. The passivity is their underlying and defining quality; their art suffers for it, along with each vessel into which that art has been placed. Too late, but too often never, they do manage to climb into the driver’s seat of their own lives. By then, the keys have been lost, physically, musically, mentally, and metaphorically. 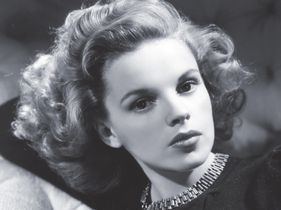 During an earlier era, Judy Garland was hideously used by just about everyone during her brief, meteoric life, but the woman could sing, and act, and dance! And, yes, she could suffer, and she did, but the viewing and listening public knew of the woman behind the mask. And her adoring public loved her all the more for her struggles and for her suffering that they knew were there, behind the mask. They knew that her rainbow was genuine, as was her deep longing to fly over it. Judy was a professional, in every sense of the word, and she believed that her fans deserved to see the performance, not the struggles and the suffering. The mask that she wore became a means of survival but it was also a means of affirmation of her self. She believed in her mask because she’d created it, not as a gimmick or even a false front or contrived cover to hide who she was. Her mask was an extension and expression of the demons and of the angels that wrestled inside of her. Her mask was much like the ones worn by the ancient Greek actors: it separated the real person from the character being acted and portrayed; and it permitted the audience to know that they were viewing a play, a show, a performance with a bona fide performer. 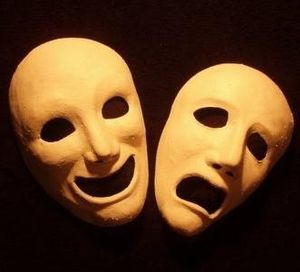 Nowadays, the mask is the performer. There’s not much beneath the mask, and the promoters want it that way. Substance would be too threatening to them, too hard to manipulate, too wieldy to control, and far too real to be faked. The substance just might be original too, and “we” can’t have that element! It’s not a commodity. And it might not sell overnight! Originality can’t be duplicated and spewed out to the consumers on MP3s and iPhones, like plastic parsley being used over and over again. The proven commodity, however, is less proven each time that it has to prove itself to be a commodity. A great portion of the public no longer believes what it is seeing because what is being seen cannot fundamentally be believed. Even belief has become a commodity. Just like “caring” and “compassion” and “hope” and “change” and “concern” and “being there for you” and, the most frightening of all — “We’re here to help” - “belief” has joined the group of intangibles that are peddled or, to use the crassly common parlance, that “reach out” to the statistically and cynically chosen “correct” demographic. The worlds of advertising and politics have become blatantly incestuous. 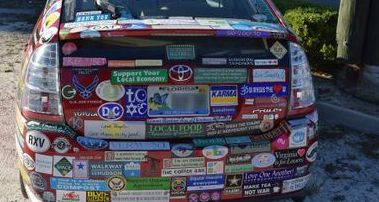 Whenever the priceless intangible gets printed onto the bumper sticker and sold, it is no longer a priceless intangible, especially for the peddlers whose main objective and only goal is to make sure your money becomes their money. Separating you from your hard-earned dollars is how they earn their dollars. 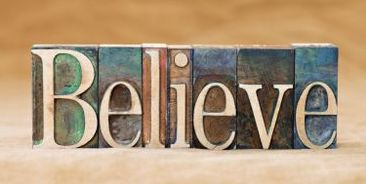 I believe that “belief” has been transformed from a specialty item to a commonplace, perhaps even bargain basement purchase. Buyer’s remorse is the order of the day. When I look at a singer or actor or performer of some form of performance art, I still expect talent, not the re-packaged re-assembly of notes, and words, and even body parts (some of them Photoshopped), all of which mimic tunes and talent. I hold those expectations even if they might be deemed too lofty and archaic because I refuse to place “belief” into the trash, much like a file, no longer needed, that is dragged into that iconic spot at the bottom of my MacBook Pro. And I intensely dislike having my belief in anything “crunched” on a routine basis or anytime at all! I dislike even more the fact that the Escape key command does not work (function) with my e-mail software. 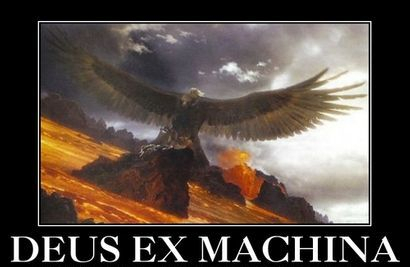 Surely the Ancients did not suffer this fate. Their instinct for escape was not subject to being filtered. It waxed poetic! Horace, who was also known as Quintus Horatius Flaccus, was the top dog among lyric poets in ancient Rome. He reigned during the reign of Augustus Caesar, who was also known as Octavius. One gets the feeling that to be magnificent in Ancient times, two names were necessary. “ . . . all Romans had three names: the praenomen, which was a personal name; the nomen, which designated your gens, i.e., clan, and, consequently, your social status; and the cognomen, an additional personal name that often referred to some characteristic associated with the individual. Ovid's cognomen is Naso, meaning Nose. Cicero is Marcus Tullius Cicero (called Tully by his friends), and his cognomen means chick pea. Augustus was never referred to as Augustus by his contemporaries, since Augustus is really only an adjective that is part of his title, sort of like how we don't call Her Royal Majesty just Royal. Augustus Caesar was the guy who is credited with founding the Roman Empire and was, as a result, its first Emperor. The Augustan age was the start of the Pax Romana. Relatively speaking, I’d say those times were “good times” for the Romans and for Horace whose career rather happily coincided with historical events: Rome went from Republic to Empire. 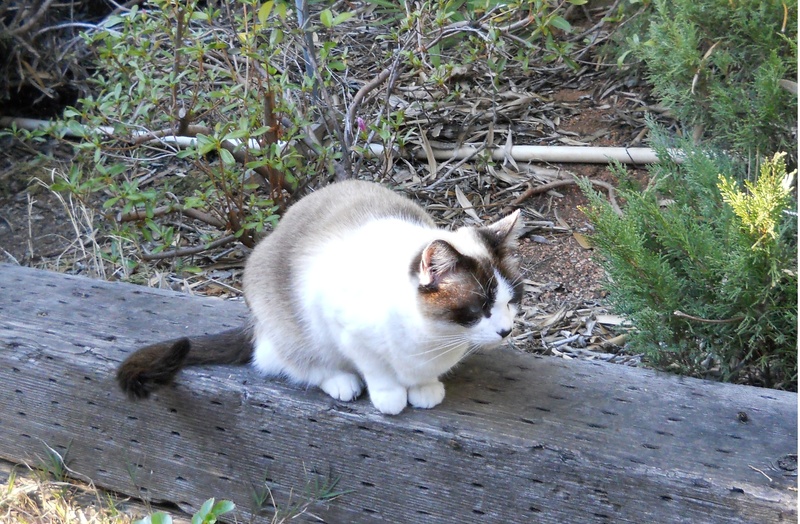 Timing is everything, and Horace had timing, in spades, along with some good connections. 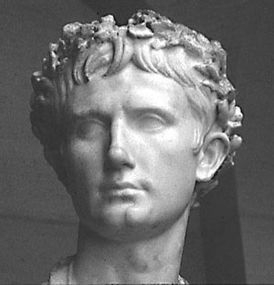 The poet Virgil (or Vergil), author of the Aeneid, introduced Horace to a fellow named Maecenas, a literary patron who also happened to be a political adviser to Emperor Octavius. Maecenas became such a devoted friend to Horace that many of the poet’s works are dedicated to this ally. 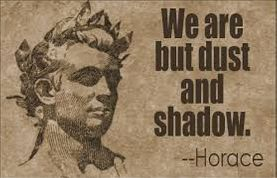 This poet laureate of Rome is credited with coining the phrase, Carpe diem, or, literally, “pluck the day.” Horace celebrated what we now call “the here and now.” While he was busy extolling the here and now, he also enjoyed a front row seat to the big names of the time: Julius Caesar, Augustus Caesar, Cleopatra, Vergil. His poetry grants to the Moderns a glorious view of that front row seat, perhaps even a window into the world of the magnificent Ancients. Partly due to the rave reviews from the big names of that era, I tend to place credence – or belief – in the words of this Ancient. And so I read with belief the words of Horace in his quite authoritative treatise, “The Art of Poetry.” This brief text was much later generously used by Boileau to expand and to expound upon writing in general and poetry in particular, subsequently influencing (for better and for worse) French and Western literature for centuries. I beg of any god – any deus ex machina – to come and intervene in the performance of most public “artists” and “artistes” in the modern era called today. The knot in my stomach is worthy of such a deliverer to untie it!